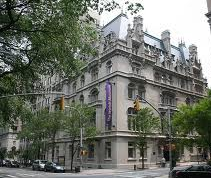 This morning I went to the Jewish Museum on 92nd St. and Fifth Ave., to spy the exhibit The Radical Camera: New York’s Photo League 1936 – 1951. This is the final week and I’m so glad I caught it. The Photo League was a volunteer organization of professional and amateur photographers who drove social change through documentary-style photography, telling stories about challenging life throughout the city. From Harlem to the Lower East Side to Coney Island, the League created some of the most iconic images of the streets of New York. The League also taught photography. Many of its members and teachers were first-generation Jewish Americans and well-known artists of the mid-twentieth century, such as Sid Grossman, Ruth Orkin and Jerome Liebling to name a few. 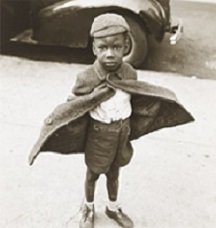 Very familiar with one of the photos, Butterfly Boy, by Jerome Liebling, it was interesting to learn the history of it as well as see perspectives of life in Harlem at that time by non-African Americans. I’ve been enjoying this wonderful museum since last summer. Always interesting and thought-provoking exhibits. I was very glad that the museum was packed today (and that I’d gotten there early). When I asked a museum representative how this particular exhibit has been received, I was told that the foot traffic has been steady since it opened. Here’s a link to read more about The Photo League and the exhibit curated by The Jewish Museum. And check out the Museum and upcoming exhibits.